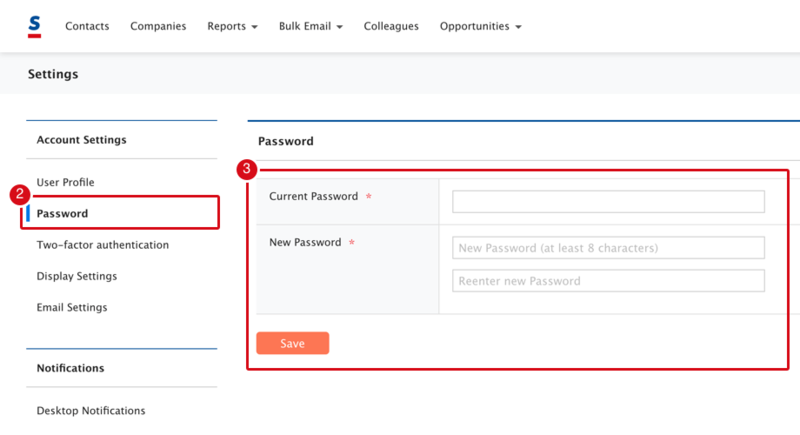 Here we will show how to change the password you use when you log in to Sansan. A change made to a password will be applied to the log-in password for Sansan for PC, Sansan for Mobile, and the smartphone app. If you are using AD integration in your company, please speak to the administrator in your company. 1. Click on "User Name", then on "Settings". 3. Type in your current password and your new password, and then click on the "Save" button.